Diamension: L38" x W18" x H42"
We are offering Kids Bottle Hanger to our clients. Enriched by our vast industrial experience in this business, we are involved in offering an enormous quality range of Plastic Garment Hanger. Available Color: Black, Red, Blue, Green. 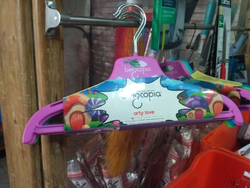 We are the prominent name occupied in offering of a wide and exclusive range of Clothes Hanger. 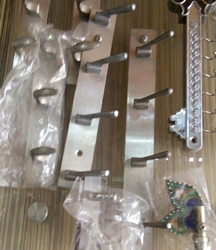 Our offered clothes hangers are tested by our quality controllers in order to provide the best to our customers.